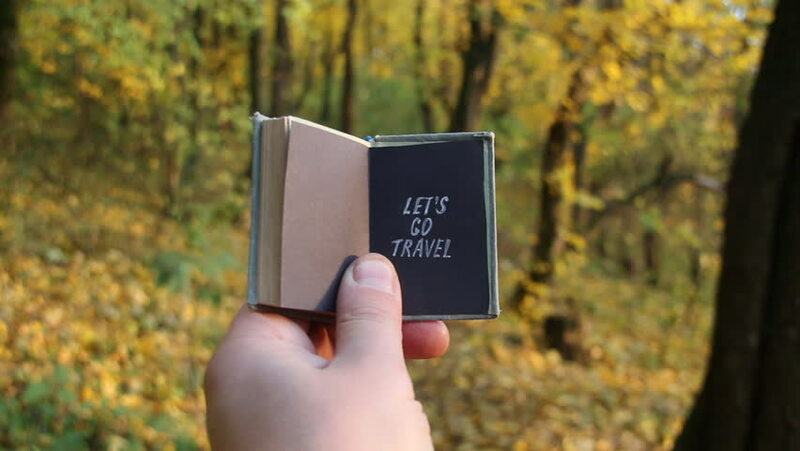 Let's Go Travel Journey Adventure Traveling Exploration idea. Autumn wood on a background. hd00:07Lets go travel, adventure motivation concept. Autumn wood on a background. hd00:08Time to travel. Vacation idea. hd00:07Let's go wild. Text and Book. hd00:07Let's go wild. Traveler holds a book with the inscription. Tourism motivation.